Currently, the borough is in talks to add a convenience store and restaurant to two of the four plots. Walk down South White Horse Pike, the heart of Berlin Borough, with popular destinations such as Marie Fleche Memorial Library and King of Pizza, and you may notice an eyesore. There’s a large, empty lot on the corner of South White Horse Pike and Cross Keys Road right in the middle of the most hustle-and-bustle part of the small town. The property has been unused for a long time, and it’s not the only unused property location. In total, the area has four redevelopment plots, known as study areas. Mayor James Bilella said each of these plots is an opportunity to bring in more commercial business to the area. Of these four properties, the borough is in talks to develop businesses on two of them. • Study area 1 is located at the former Owens Corning Plant. The 105-acre area is located in the eastern portion of the borough. It is bordered by Berlin Township and Jackson Street to the north, Route 30 to the south, Waterford Township to the east and Pine Street to the west. • Study area 2 is a 20.99-acre site bound by White Horse Pike, Florence Avenue and Tansboro Road. A K-Mart convenience store was formerly located at the area. • Study area 3 is approximately 2 acres, and is the aforementioned lot at the corner of South White Horse Pike and Cross Keys Road. • Study area 4 is located in a 13.52-acre lot off Route 73, bordered by a New Jersey Transit rail right-of-way to the south, Oak Avenue to the east, Beech Avenue on the west and Route 73 on the north. Bilella said some of the redevelopment zones are contaminated and very cost-prohibitive to clean up. While the process for any of these types of projects will always take a long time to officiate and construct, Bilella said two of these lots are ready to move forward in the development process. He said the lot at the corner of South White Horse Pike and Cross Keys Road has an agreement for a Royal Farms, with its redevelopment plan receiving approval. Royal Farms is a chain of convenience stores that offers gasoline and food, similar to Wawa. The chain prides itself on its fried chicken. Stores are mostly located in Maryland and Virginia, but some locations have started popping up in New Jersey and Pennsylvania. Bilella said its architecture is “historic-looking,” and will blend in with the character of the town. While there is no official timeline, Bilella said Berlin can expect to see the store in the near future. 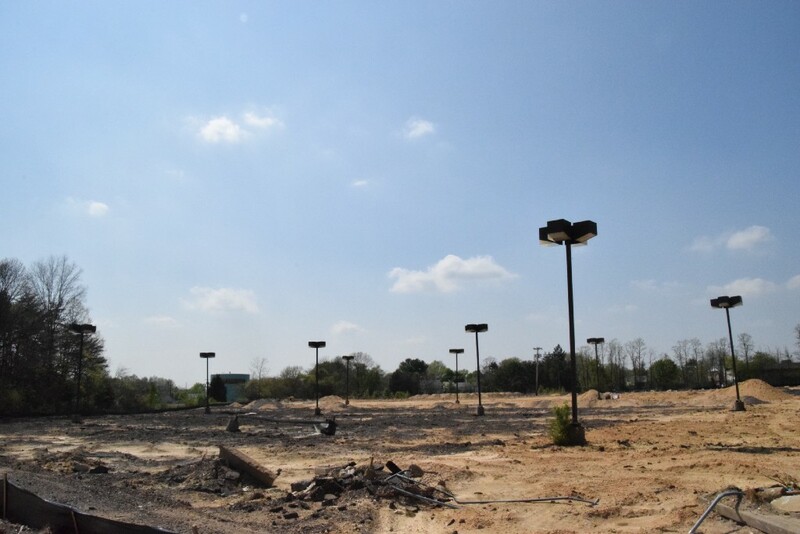 In addition, the plot of land at study area 4 is under consideration with developers, who demolished two abandoned buildings that were located there. Bilella said a restaurant owned by Luciano Lamberti will move to the location. Lamberti owns four Italian and seafood restaurants in New Jersey. Again, there is no official timeline. Bilella said in addition the developer is looking to do “serious commercial development” on the property. As for the other two properties, Bilella said that while study area 1 is the largest, it is not visible from most angles. He said the abandoned K-Mart in study area 2 is “an eyesore,” and he believes residents would like to see more retail in the area. “We’re waiting for the bank to take ownership,” Bilella said of study area 2. He mentioned he has been conversing with the developer of the property for many years, but not much progress had been made. He said he has been in discussion with several developers about trying to buy the property once progress is made. Bilella said he believes bringing more commercial activity to the area is something the borough needs. “If we as the borough government and borough residents aren’t willing to invest in our own town, why would a business owner?” Bilella said.